By giving a donation today, you can help children like Thalia. 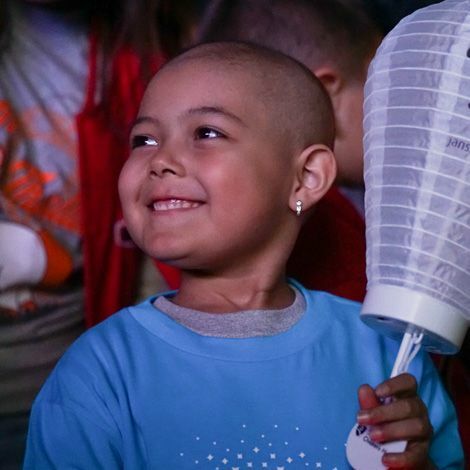 Just one month after her 5th birthday, Thalia was diagnosed with acute lymphoblastic leukemia. She was admitted to the hospital the same day and started treatment the very next morning. There were many ups and downs throughout her first few months of treatment but no matter what she remained positive. Thalia is now in the maintenance phase of her treatment and wants to become an oncologist to help other kids with cancer when she grows up. Money raised through Light The Night allows The Leukemia & Lymphoma Society (LLS) to fund treatments for patients who are suffering from all forms of blood cancers. In 2018, LLS helped advance 19 of 21 approved blood cancer therapies. Beating cancer is in our blood. Help defeat the darkness of cancer. Please make a donation today to continue to help children like Thalia!